Terrace, BC, Canada is located at the confluence of the Skeena and Kalum Rivers, surrounded by the Kitimat and Coastal Mountain Ranges of Northern British Columbia. Being Terrace is home to the Kemode Bear and is a commercial hub in the Nass Valley complimented by nature and wildlife it comes as no surprise the region is dubbed "Spirit Bear Country". 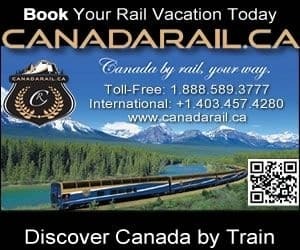 Activities and attractions most enjoyed in and around Terrace and the surrounding areas includes fishing, boating, wildlife tours, horseback riding, rock climbing, canoeing, kayaking, mountain biking, hiking, golfing, birding (birdwatching), and snowshoeing, xc skiing, snowmobiling and ice fishing. A few of the more popular activity and sightseeing destinations located in and around Terrace, British Columbia includes the Heritage Walking Trail, Grand Trunk Pathway, Shames Mountain, Terrace Mountain Trail, Lakelse Lake Provincial Park, Sleeping Beauty Mountain Park, Kleanza Creek Provincial Park, Thornhill Mountain Trail, Ferry Island Trail, Fisherman's Memorial Park, Pine Lake Trail, Howe Creek Trail and the Nisga'a Memorial Lava Bed Provincial Park. The most visited natural sightseeing attractions, historical sites and cultural venues in and around Terrace British Columbia includes the Old Hazelton Historic Village, House of Sim-Oi-Ghets, Kasan First Nation Village, George Little House, Hagwilget Canyon, Heritage Park Museum, Kitselas Terrace Art Gallery, Canyon National Historic Site, Khutzeymateen / K'tzim-a-Deen Grizzly Bear Sanctuary, and the Moricetown Canyon. Travel services and amenities important to travelers in and around Terrace British Columbia includes accommodations (hotels, fishing lodges, outfitter camps, motels, bed and breakfasts, vacation homes, resorts, cottages, cabins), campgrounds, tours, guides, restaurants, laundromat, coffee shops, grocery stores, pubs, liquor stores, gas stations, gift stores, big box stores, casino, wineries, craft breweries, and transportation services including taxi, rail and the Kitimat-Terrace Regional Airport. eh! Plan to Visit Terrace, BC today.